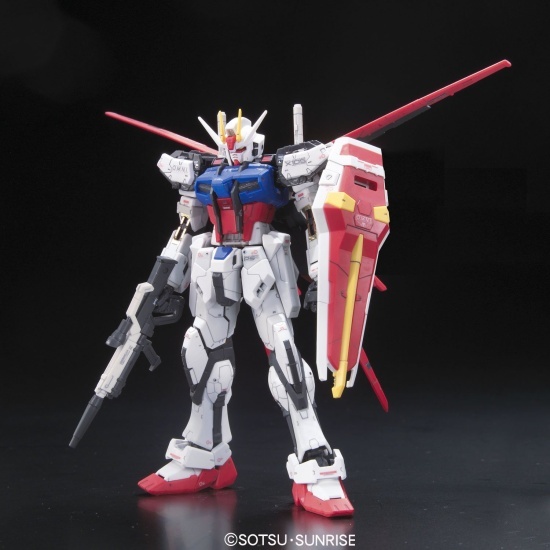 Bandai’s “Real Grade” line of Gundam models has a very young history. There’s the original Gundam, a Char’s Zaku, and now a beautiful Aile Strike from Gundam SEED. 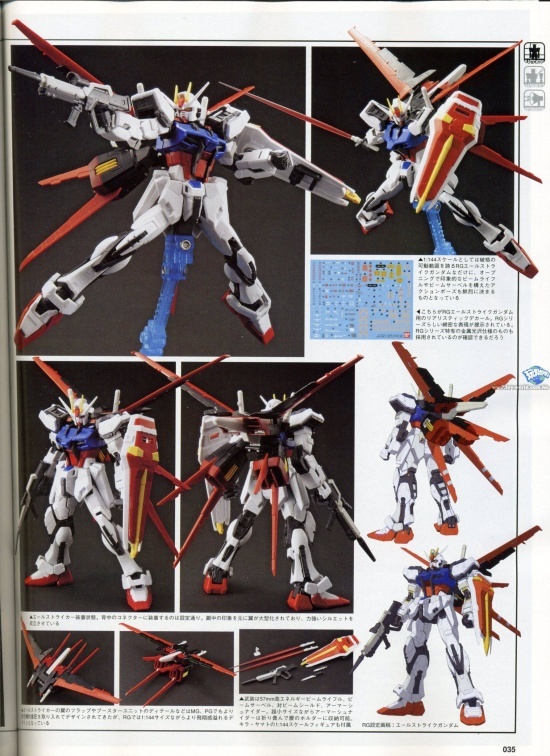 Based on these images, I think you will agree that Bandai has truly outdone itself here. This is one hell of a model. For an insanely large and highly detailed version of the above, click here. For the thread at the Animesuki forums, go here. 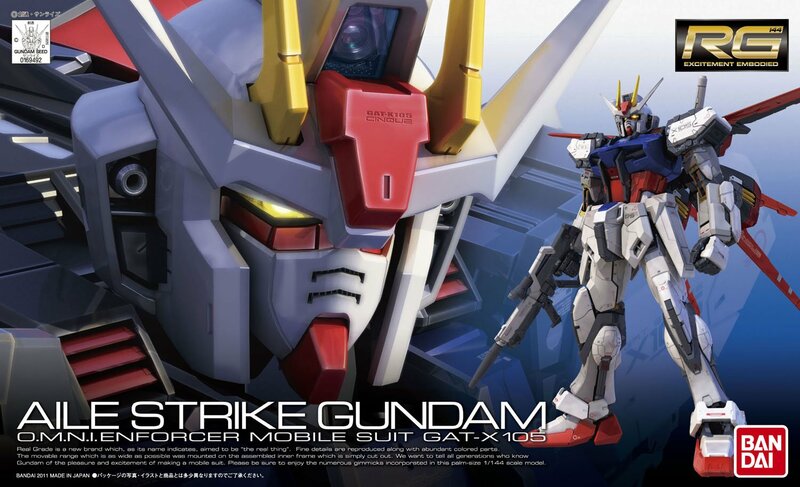 One thing to mention in passing is that so-called gunpla is originally a portmanteau for Gundam Plastic Modeling. 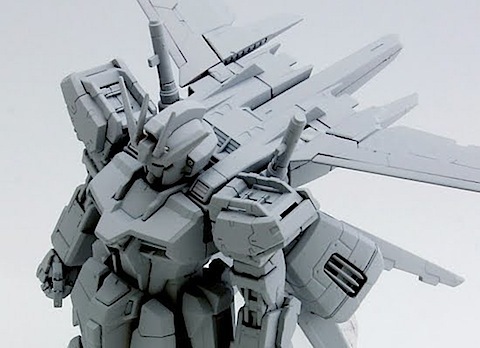 It has come to mean the act of building Gundam models, with “models” themselves being the, well, physical models i.e. toys. It’s not that you cannot buy figures in the sense of something pre-packaged, but beauty like this can only be hand-assembled. That or you buy something assembled by someone else for a big price premium. Most people wouldn’t do this; they take pride in their work. Alas, it is a forbidden art to me. I just don’t have the money, space, or time to be messing with them. I have a good number of friends and acquaintances who have assembled a fair bunch of them; I got this news from Velocity7, who I have mentioned in some posts here. Anyway, back to the pictures! If you’re wondering, the Japanese says, * Stand not affixed. …I think that means, the model is not permanently connected to the stand; you can take the model off at will. But not having personal experience in this area, this is merely my guess. Now, I’m playing Paul Revere, not trying to steal anyone’s thunder, so by all means, go visit the original post regarding these lovely prototype images at www.gundammodelkits.com . I have no affiliation whatsoever; I just caught them off Google when looking for the purposes of this post. Update! Here’s another image. Full version here. It’s large. 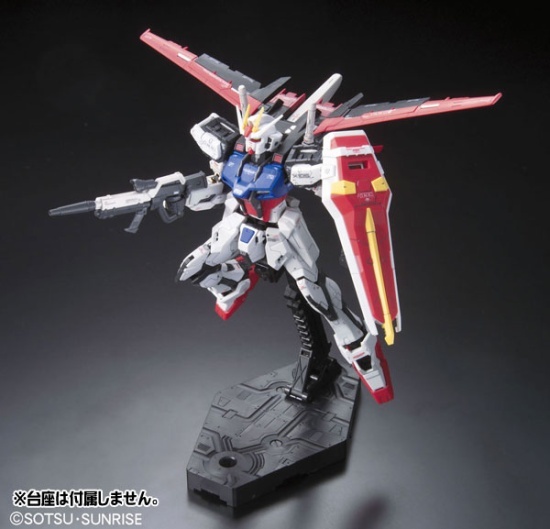 This entry was posted in Gundam and tagged Aile, Gundam, gunpla, models, real grade, RG, Seed, Strike, toys. Bookmark the permalink.